Rafe fled Germany in 1936 with his mother and siblings as his mother was Jewish but also has Swedish ancestry. They settled in America. Jennie lives in America and also has Swedish relatives. Rafe and Jennie’s paths cross aboard the Queen Mary as they sail for Scotland in 1944. 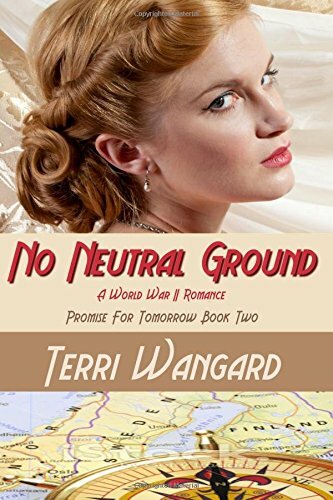 No Neutral Ground shows the horrors of war for both the armed forces and civilians. There is a lot of action surrounding the air force. The life expectancy for air crews was just six weeks. Friendships are hard to come by as they could be gone in an instant. Terri Wangard has clearly done her research as the details of the planes and the bombing missions is extensive. The plight of the Jews in Germany and elsewhere is highlighted. Rafe is a German Christian but this counts for nothing compared with his mother’s ancestry. While the Nazi’s rule of terror reigns, so Rafe will always be looking over his shoulder. Sweden was neutral but within its shores both Allies and Germans could be found. The novel deals with subterfuge and espionage. Working in neutral Stockholm does not mean safety. One must be constantly on high alert. No one knows who is listening nor whom they can trust. 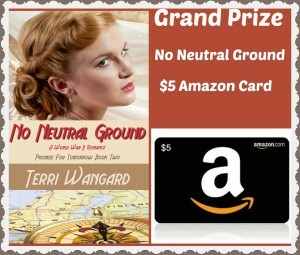 Within No Neutral Ground children pop up. Their innocence contrasts with the brutality of war. There are some particularly touching scenes with young Brenda and Rafe. In times of war, love can still flourish. Against the backdrop of war, a gentle romance is brewing. There is the theme of fathers. Jennie is very close to her father. Rafe had a perfect childhood but feels his father has let him down. Rafe did not know the whole story nor what motivated his father’s actions. There is only one father who will not let us down or disappoint us and that is God. Rafe was torn from everything and everyone he knew in 1936. His family ties, his friends and his home city of Cologne still mean everything to him in spite of the distance in miles and years apart. Rafe may live in America and fight for the Allies but inside he is still first and foremost a German. Terri Wangard shows there is a clear distinction between being a German and being a Nazi. I loved No Neutral Ground. It had a bit of everything – history, romance, war, espionage – a perfect read. I cannot wait for the third book in the series!